Whenever people think of Orlando, Florida, they think Disney Land. However, there are more than a dozen theme parks in Orland. The population in 2017 was recorded as 280,257 so that means the majority of the population at one time or another is tourists. Some of more known theme parks are SeaWorld, Orlando, Universal Studios and LEGOLAND Florida. Last year I was in Orlando and did the popular main Disney Land day but was not that excited about it. For one, the it was hot as hell and you really had to scoot from one spot to another to get to the rides – we used the Fast Pass so you were running from one ride to the next. The last day I was there, a friend and I decided we did not want to do the normal hustle and bustle so we headed to Gatorland. Now, Gatorland is not a place to go if you want to take rides, however, they do have funny events like Gator Jumparoo. It was just refreshing for us to just wander around and look at the gators and take our time. We did have our picture taken with a bunch of gators we just fed. That was cool. 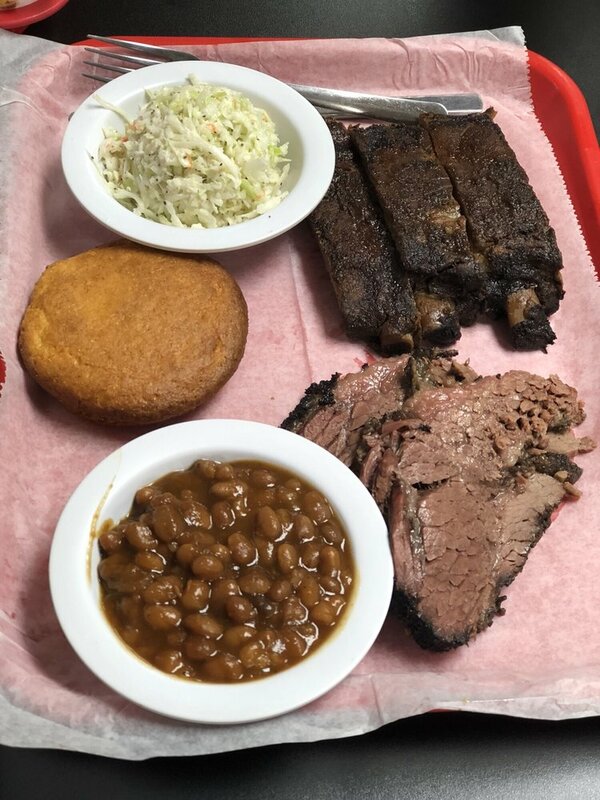 Well, after a big day with the gators you may want to take in some down-home comfort food. I have found three great barbecue places you may want to try the next time you are in Orlando. 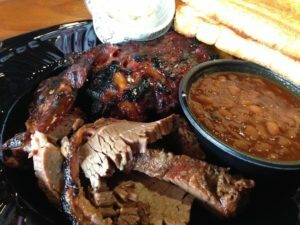 Bubbalou’s Bodacious Bar-B-Que has five locations, two of which are in Orlando. There is the Alafaya Trail location and the Conroy Road location. They have been featured in local and national magazines. Some of the national magazine include Southern Living where they were featured twice, one in their “Favorites” issue and the other was in their “Bar-b-que” addition. Orlando – The City Magazine has featured them three times in their magazines twice for their annual “Dining Awards” and the other was “The Best of the Best” issue. Bubbalou’s Bodacious Bar-B-Que would love to cater your next event. They have one of the finest catering teams in Orlando. They happily set-up, serve and clean. 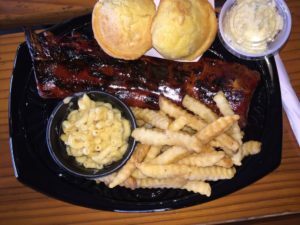 Their service will provide BBQ sauces, utensils, set-up, plates and some of the best mouth-watering barbecue Central Florida has to offer. Ask them about their party packs. These are pre-set catering menu’s that can serve from six to eight people up to a feast for one hundred. Bubbalou’s Bodacious Bar-B-Que has a strong four plus rating in reviews on the web. 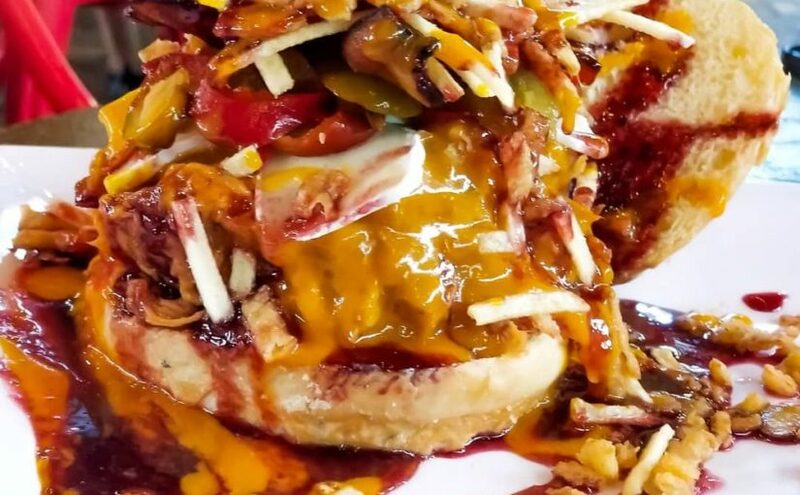 So, it is recommended you definitely put this place on your list of restaurants you should visit. Big John’s Rocking BBQ was opened September 11, 2015 by “Big John” Glover. He chose to locate this place in downtown Kissimmee, Florida which is adjacent to Orlando. Big John started his barbecue passion as a hobby. Entertaining family and friends with amazing neighborhood cookouts and family gatherings turned his hobby into a fast-growing catering business. Eventually Big John decided he should open a family-friendly restaurant with a “rock-n-roll” vibe. The walls are decorated with concert posters and albums which are sure to bring back some crazy memories. 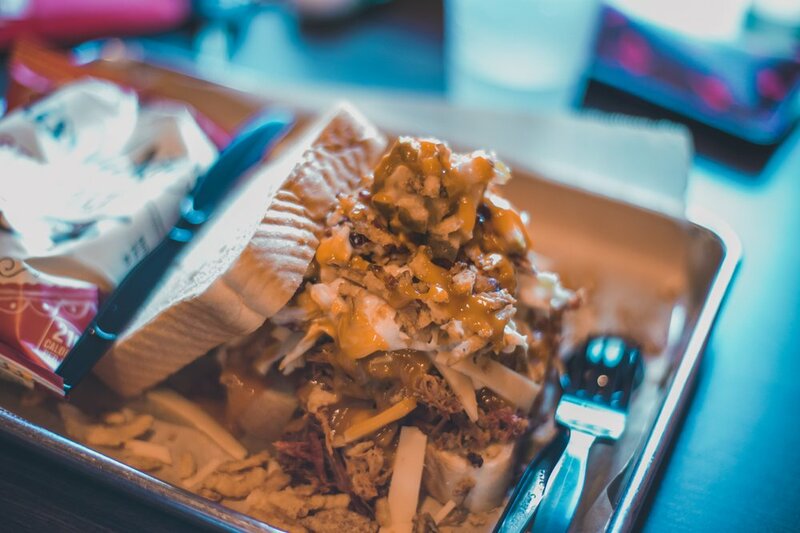 Using locally sourced goods, Big John will slow roast a smoked-brisket to perfection. He has taken handed down homemade family recipes from not only his family but from his employees and added his own twist to perfect sides over the decades. 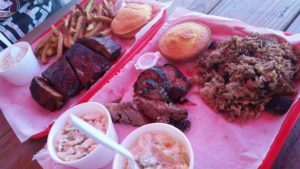 Big John’s Rocking BBQ was featured in the Oscela Woman Magazine. The magazine is an independent local publication promoting great places in the Orlando, Florida area. Along with this accolade, he ranks a four-point-three on the web for positive posts. Yellow Dog Eats is located in The Brockman House which is located in downtown Gotha. Originally built in 1910 by a Lizzie Brockman. After she married they stayed in the house until 1917. The property changed hands many times after that to eventually be turned into a store. At one time it was called Hamm’s Grocery after Margie and Bill Hamm who purchased the property in 1947. They ran the store for thirty years before retiring. It then became Fischer’s General Store until 1999. After it was purchased by the Morgan Family around then, their son, Fish, who was a trained chef, converted the building in to the restaurant it is today. Chef Fish Morgan, creator of Yellow Dog Eats, uses as much food he can source locally like his fifteen varieties of locally grown baby greens. They smoke their beef, pork, bacon and other meats slowly over natural and apple woods. Since they have won the coveted “Cheese Burger In Paradise” trophy two years in a row, their fandom has increased. People come from all over to try their famous ahi tuna sliders. Recently they won the Orlando Business Journal’s Restaurant Madness Contest. I can see why they have over fifteen hundred reviews on the internet with a four-point-eight rating. This article is sponsored by Orlando Hood Cleaning. Commercial kitchens Orlando rely on Orlando Hood Cleaning to not only clean their commercial kitchens but their exhaust hood systems as well.